Focusing on God and teaching your children a Bible story felt obvious in December. 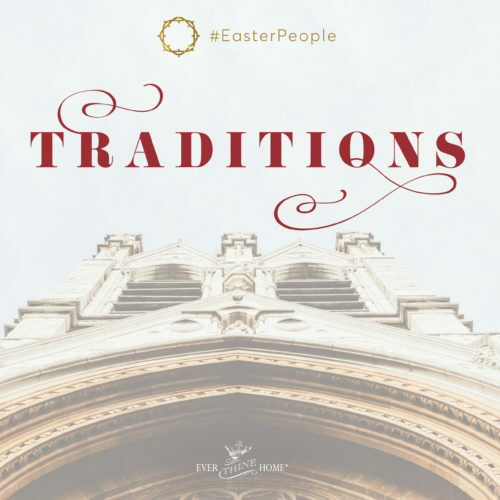 Everywhere you looked another Advent calendar, Bible study storybook reading schedule, Christ-focused family activities list, and more were waiting to be found. And if nothing else, you at least knew to focus on the Christmas story. Easy enough! But now it’s January. 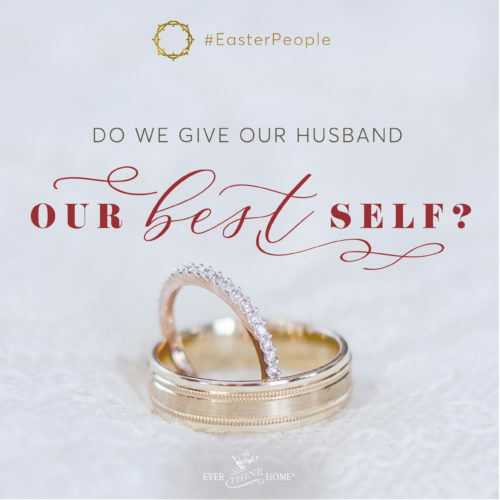 Where’s your weekly schedule for Bible truth and family reflection? What stories should you read this month? We’d like to help! Our new blog feature is called a Spoonful of Sugar. We know, you’re busy! Life moves fast. But we also know you won’t get these days back. So we’re making it easy for you to make the time you have worth it with Bible study in your home. Every Saturday we’ll send you a sweet bite of biblical truth to nibble on all week long. Twice in the Bible God tells His chosen ones to eat the pages of a scroll on which was written His eternal words of truth. Both times, these godly men experienced a sweet taste in their mouths. God’s Word isn’t just good for us like medicine, which often tastes bitter. It’s good for us like a tasty treat because the results of following God are pleasant and satisfying. 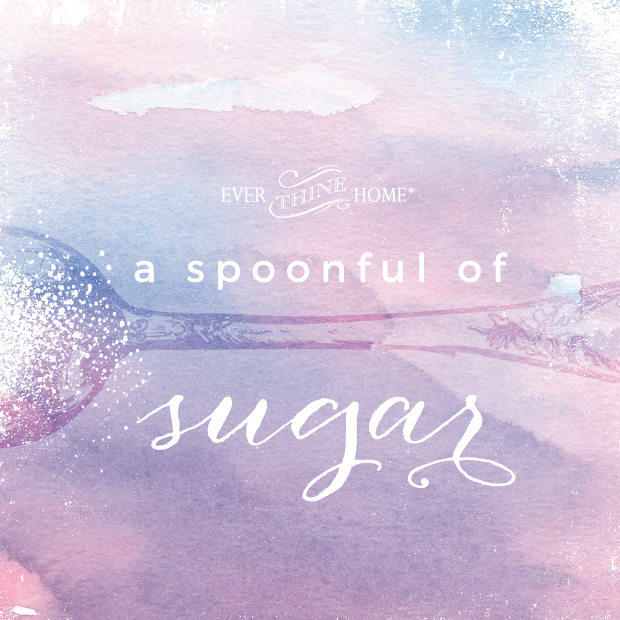 Spoonful of Sugar will include one Bible verse and a few short questions to spark conversation around the verse’s meaning and message. 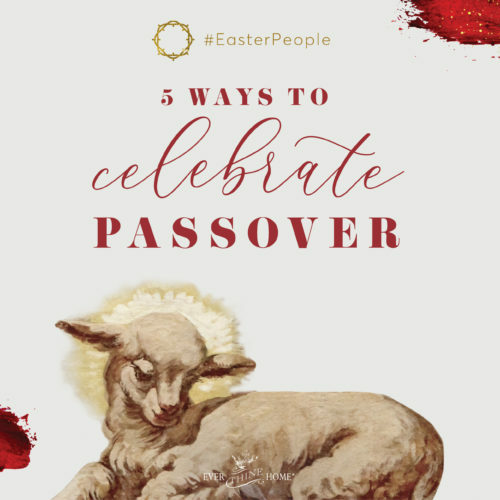 We’ll offer the verse as a free download so that you can pin it up on the fridge or set it in the center of your nightly dinner table. Have you ever considered where the wintry white mix comes from? 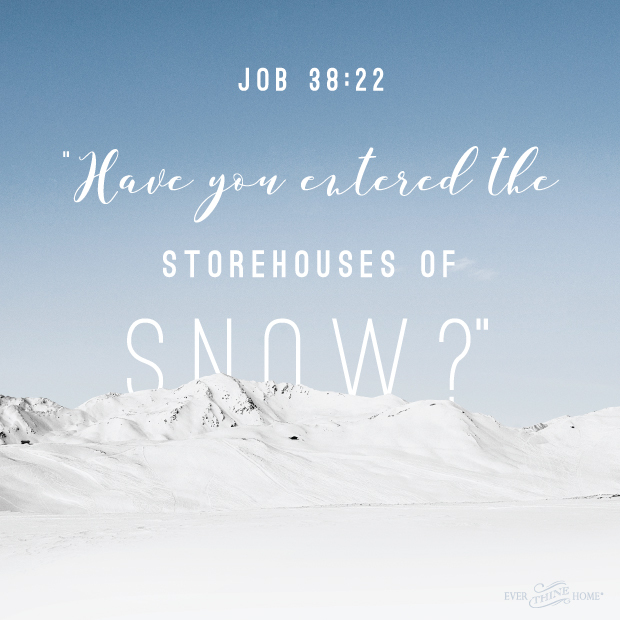 God tells Job that He has storehouses of snow. -Why does God want Job to know this truth? -What might that kind of storehouse look like? -enormous grain silos that house rice in southern states? -equally giant wheat silos found across the Midwest? -Are God’s storehouses entirely different? -Sketch a picture of one of God’s storehouses full of snow. Mediate this week on our God who is so powerful that He even houses snow to dump with flurried delight at the sound of His voice. Consider how that same God comes near enough and cares deeply enough to tell Job this in His loving voice. This is wonderful! Thank you for this series!! We love it. Thank you! We will be looking forward to it weekly! God bless you and your ministry. This is going to be great! Thank you for helping us busy parents find a way to share God’s Word w/our busy children & assist in raising them up in the ways of the Lord! !